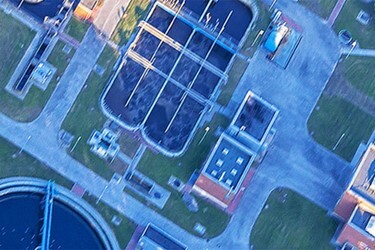 Water and wastewater treatment plant design is a large scale, complex engineering effort requiring a design team, often spread across many offices, and involving collaboration between different consulting firms, contractors, and owners. Bentley’s solution creates multi-discipline 3D models that can optimize project delivery and improve the management of infrastructure asset information as the project passes from design into construction and ultimately through to operations. With Bentley’s Treatment Plant Design and Analysis solution, you can deliver greenfield and brownfield projects that require team collaboration, in a comprehensive modeling and connected data environment. The solution comprises multi-discipline plant design applications covering site, process, architectural, instrumentation and control, electrical, mechanical equipment, mechanical and structural piping, supports and hangers, HVAC, structural steel, and reinforced concrete. You can easily model complex structures like clarifiers, launders, and weirs to exact elevations for optimum hydraulic flow. For plant upgrades and retrofits you can reuse legacy P&ID drawings, create intelligent P&IDs for managing tags in the facility, and use reality modeling with point clouds and photographs to capture existing plant conditions. Reduction in design and construction costs through greater engineering efficiencies are enabled by clash detection, design review, cost estimation, on-line vendor equipment, piping and electrical components catalog, material management, and construction planning, sequencing, and monitoring. Integrating key aspects of the plant lifecycle, Bentley’s solution addresses the needs of plant owners, engineering contractors, and plant operators to develop and mature the design intent of the facility into construction then handover into operations.